With a world full of cinematic treasures, ranging from the silent expressionism of Robert Wiene in the 1920′s to J.J Abrams’ current vision for science fiction, deciding on a top 30 films of all time is no easy task. After much time and plenty of thought however, here it is for the world to see. Made for roughly $25,000, Kevin Smith’s lewd; generation-x defining indie classic is proof that a great script, uttered by endearing characters, is all that’s needed to create a lasting and beloved cult film. It’s hard to imagine a day spent at a convenience store in New Jersey could be as memorable as this, but from the moment our luckless hero Dante is called in on his day off (a point he makes very clear throughout the duration), the laughs come just as frequently as the feeling of satisfaction prompted by the inspired and unrelenting dialogue. If you have ever considered the fate of the construction workers on the unfinished Death Star destroyed by the Rebel Army, then Clerks is the movie for you – in fact, that example of aimless but thoroughly enjoyable conversation speaks for the entire View Askew catalog. 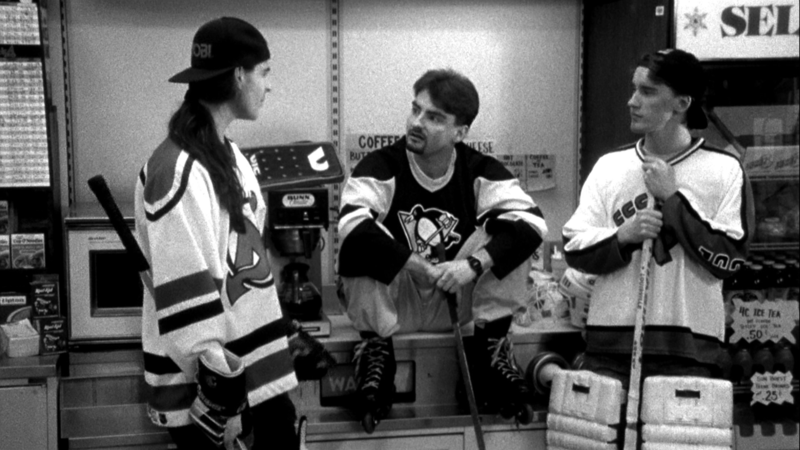 Kevin Smith may never win an Oscar, but through this, as well as Mallrats, Chasing Amy, Dogma and Jay and Silent Bob Strike Back, he has won the hearts of teenage boys and the young at heart everywhere. One Flew over the Cuckoo’s Nest is a flawless film and the result of two great minds bursting with talent at the start of their respective careers. Director Milos Forman would later make another masterpiece with Amadeus and the accomplished The People vs. Larry Flynt, while Jack Nicholson, having already staked his claim for greatness with Easy Rider and Chinatown, was still yet to play what his arguably his most iconic role of Jack Torrance. The film follows Randal P. McMurphy, a petty criminal admitted to a mental institution who, being shocked at the listlessness and controlled nature of his fellow inmates, incites a rebellion against the lawful dictator Nurse Ratched. Though McMurphy does succeed in granting his peers a taste of freedom, ultimately the repressive nature of life takes its course, and a metaphorical ending suggests that perhaps freedom is a state of mind. 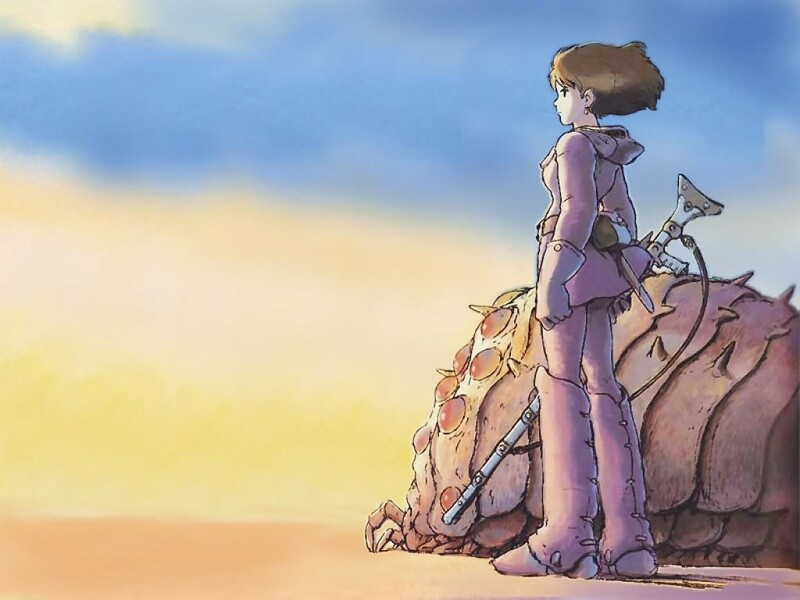 Nausicaä is one the finest heroes of Japanese animation, and Hayao Miyazaki’s pre-Ghibli masterpiece is in many ways his most immense and significant achievement. Through her complex character, being at once a warrior and a pacifist feeling immense sadness at the tendency for humankind to look to war for resolution or response, Miyazaki pioneered all that the studio would represent; stories that lean to hope and optimism in the face of adversity and loss. The sudden murder of her father at the hands of the conniving Officer Kurotowa enrages her to slay several of his guards, before the legendary swordsman Lord Yupa intervenes, and the devastation she emits is palpable as she falls to the floor. She seeks safety for her people and is ashamed that her own hands are capable of violence, seeing parallels to the nature of the creatures who are angered only when threatened and otherwise live in peace. Nausicaä of the Valley of the Wind is the type of immersive science-fiction journey you wish would never end, with a tone all to itself crafted from the courage of its hero and alien environments pre-dating Planet Zebes of Metroid. Every ounce of dialogue and lore feels important, as do all the flora and fauna that populate the dense, mysterious forest, making Miyazaki’s second feature film his most influential, and perhaps his true masterpiece. Beautifully strange, and subtly unnerving; Charles Laughton’s sole directorial effort The Night of the Hunter is at once a classic fable of a wolf in sheep’s clothing, and a portrait of the essence of nature – both human and animal – detailing the roles of the hunter and the prey. After sharing a prison cell with condemned murderer and thief Ben Harper, who reveals that he gave the $10,000 he stole to his son John, Reverend Harry Powell sets out to marry his widow and obtain the money at any cost. John recognizes the carefully concealed evil lurking inside of Powell, and after a series of traumatizing events, flees with his little sister on a raft down the river, with the determined and nightmarish reverend tracing each step that they take. A boat has been destroyed, criminals are dead, and the key to this mystery lies with the only survivor and his twisted, convoluted story beginning with five career crooks in a seemingly random police line-up. A hijacked truck in Queens sets in motion a series of events eventually culminating in the introduction of Keyser Soze, an enigmatic villain whose identity, and very existence, is questioned relentlessly by the array of cops and criminals that find themselves a part of his intricate plot. 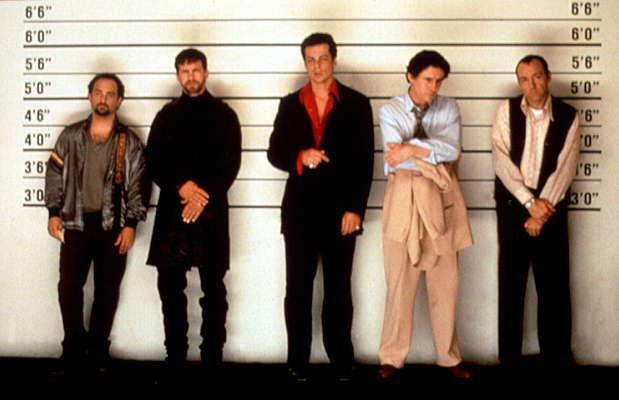 Bryan Singer’s The Usual Suspects is in all aspects a triumph. Christopher McQuarrie’s Oscar winning original screenplay is one of the best ever written for the crime thriller genre, spinning a delicate web of deceit and suspense as it unfolds before our captivated, unwavering eyes. The script is also perfectly delivered by all involved; Benicio Del Toro and Stephen Baldwin are deliciously deviated as partners-in-crime Fenster and McManus, and Kevin Spacey’s iconic portrayal of lowlife conman Verbal Kint remains arguably the milestone of his decorated career. Now unfairly remembered mainly for its notorious twist ending, The Usual Suspects has depth and intelligence that sets it apart from its often mediocre counter-parts, and remains a filmic success and a true classic of contemporary American cinema. Thanks for reading my top 30! Please feel free to comment with your thoughts! I think I remember reading somewhere that The Usual Suspects was based on the Akira Kurosawa classic; Rashomon. ashamed to say that I have only seen 2 out of the 5 of these (cuckoos nest and clockwork) will have to add the rest to my list! Its a shame that Night of the Hunter isn’t known to more people, Mitchum’s performance is absolutely stunning and terrifying. The Usual Suspects has been my favourite for about as long as I’ve seriously loved cinema. “Night of the Hunter” should be in every top 3, in my humble opinion. May I recommend “It happened in broad light”, along the same lines? Thanks for adding us! Must have been a nightmare to come up with, but nice choices. All great films. I am a huge fan of Robert Mitchum but still my fave performance of his. 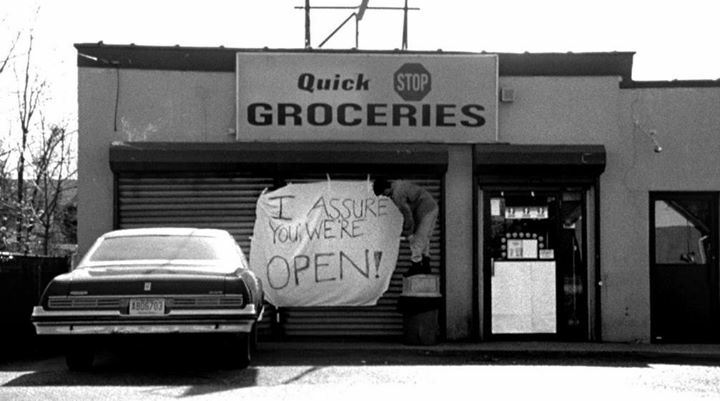 Clerks is still my favourite comedy. Great to see them so high up. Excellent list! A bit heavy on the action//thriller/gore side for me, but I’ve still enjoyed MANY of these films. I was loving Dead Alive way before I’d ever heard of Peter Jackson, and there’s no denying the Usual Suspects and True Romance are great films. Personally, I wasn’t blown away by Mulholland Drive; my favorite Lynch film has always been Lost Highway. 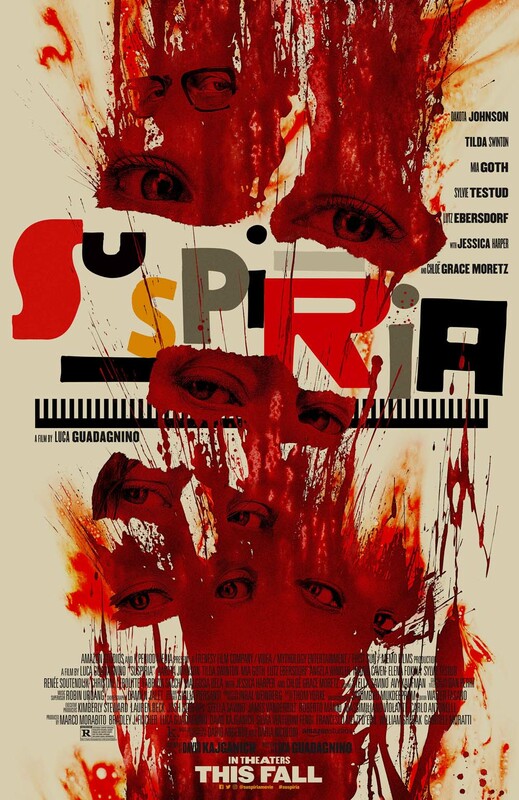 I’ve never heard of Suspiria but I might have to check it out. I won’t deny anyone having Lost Highway as their favourite Lynch, its a terrificly twisted film. Is it true that Usual Suspect based on Kurosawa’s Rashomon? I have both of them. I haven’t watched Rashomon yet. Okay, I’ll check it out. Though, for this evening, I’ll go with Hanneken’s disturbing movie, Funny Games (1997). Thanks for this! I don’t know actually, I suppose most films have their older inspirations. Funny Games is indeed a disturbing one – hope you enjoy suspects when you get to it. I’ve seen Goodfellas, which I hated. Dawn of the Dead was good for its time but is no where close to a top 10 movie. 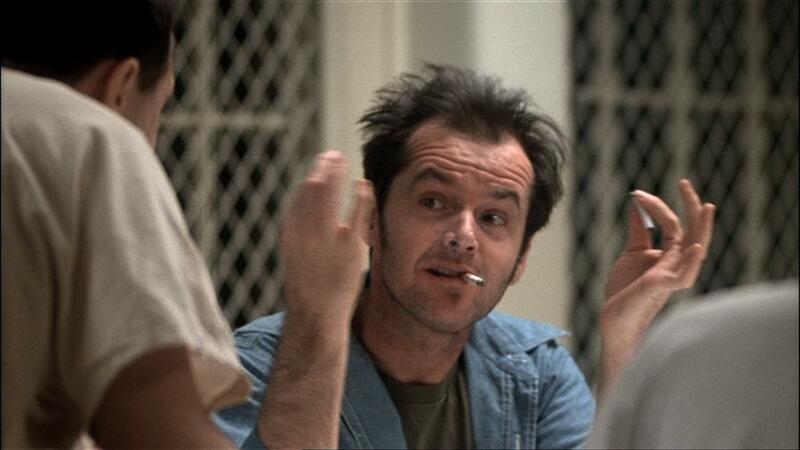 One Flew Over the Cuckoos Nest is okay as is the Usual Suspects. You’re missing some of the best movies ever, which I was very surprised by: Braveheart, Saving Private Ryan, Forrest Gump, Avatar, Titanic, Lord of the Rings: Return of the King, Rocky IV. What about all those? Sorry, but you’re flaming him for his personal list of top-10 favorite movies? Not only that, but then you say he’s missing some that are you own personal favorites? Isn’t that a bit hypocritical? I was just commenting what I thought of some of the movies and that movies like Braveheart, Saving Private Ryan, and Forrest Gump are usually top-10 favorites, which I think is widely know. I wasn’t saying his list was stupid or anything like that. I haven’t seen most of them to be honest. I think you’re still missing the point though. Ha, all I’ll say is that if i was making a “Greatest Film’s of all Time” list I may not have included Dead Alive, From Dusk ’till Dawn or Resident Evil. I’m sorry that you didn’t enjoy Goodfellas, and don’t believe Dawn of the Dead retains its potency, as I believe these are films that can reward the viewer enormously. But hey, its all opinion! Interesting list. I might call it eclectic if I didn’t despise that word so much. Ha, yeah interesting is fine with me! I love A Clockwork Orange! I dressed up as Alex for Halloween a few years ago, it was pretty awesome if I do say so myself. The book is equally amazing and everyone should read it! Haha, nice one! Agreed, I must admit I prefer the ending in the film, but the book is definitely essential reading. 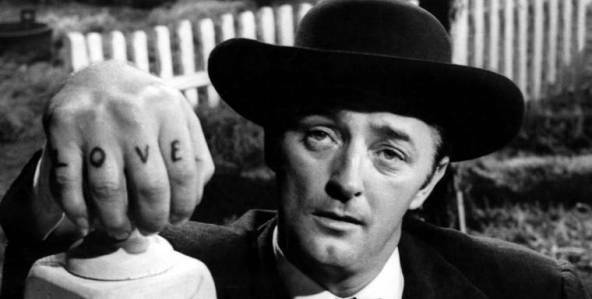 ‘Night of the Hunter’ is a true masterpiece. It even puts some of Hitchcock’s films to shame. Glad you agree! It’s just a shame we couldn’t see more from Laughton. With all the choice you had at your finger tips I have to say that is a poor top 5, Usual suspects is great but in no way a top 5 movie. Great thing that movies mean something to everyone differently mate, but must say with Usual Suspects currently at number 23 on the IMDB top 250 (a source material you obviously have links to) I wouldn’t say Jordan is that far off that mark, would you? The fact that The Usual Suspects, Night of The Hunter, and One Flew Over The Cuckoos Nest are in your top five is an automatic follow for me. All three are amazing not to mention A Clockwork Orange. Amazing picks, instant follow. Ha, glad you like them also! Great to have you on board! The Usual Suspects is a great movie, but then I think most people love it the way they love Donnie Darko or Shawshank Redemption. It feels very complete. It is one of those films that blows you away the very first time you watch it. It leaves you speechless right there, and may be it is rightly remembered as such as most movies nowadays cannot even come close to anything resembling a satisfactory ending, let alone a mind-blowing one. Nicely put. It really isn’t lacking anything. I love ‘One Flew Over the Cuckoo’s Nest’! The Usual Suspects has to be up there in my top 10. It had me gripped from start to finish, I’m usually good at guessing the ending to a film so the twist this had was brilliant! Best ending of all time! I love watching it with others who are seeing it for the first time ha. Nice to see so much love for the 60s & 70s on this list. I really enjoyed it. Now I need to find that Bob Mitchum NIGHT OF THE HUNTER flick. Glad you enjoyed the list mate! I’ll be sure to check out your site. The Wanderers stands alone as a very unique and honestly strange coming of age film with a killer soundtrack, and The Night of the Hunter is, in my humble opinion, simply one of the best and most important American films of all time. Pulp Fiction might be on Eddie’s list, and of course most people have a special place for E.T. ha, a nostalgic treat. Good to see another Argento fan too! Check out my Top 10 Argento films if you get a chance and let us know if you agree. Not a bad list, though you are clearly overrating the Usual Suspects. It is no more more intelligent or deep than other films in the “complex and intelligent films” genre: https://dbmoviesblog.wordpress.com/2011/12/26/the-list-of-20-highly-intelligent-thought-provoking-or-just-complicated-movies-you-must-see-before-you-die/. The Clockwork Orange was an amazing movie. Not for the faint hearted though! It’s a tad controversial that’s for sure, but masterfully made. Glad you agree! Hahaha! The usual suspects is number 1? You have great taste sir! That’s the troub;le with these lists – everyone’s would be different, we all like different stuff! That said I do agree with a lot of those compared to the average best movies lists I see elsewhere. 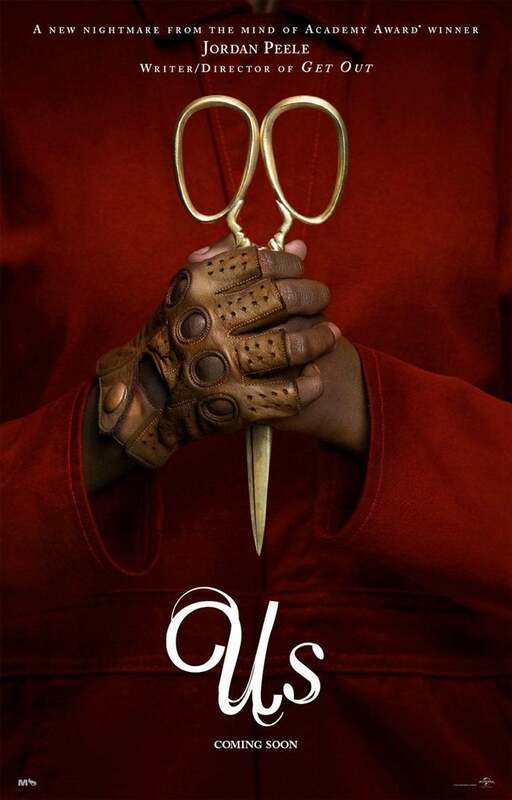 Some I havent seen, and I’m not into horror so that shitcans a chunk of them, but some great calls on the rest I thought – e.g. Badlands, Night of the Hunter, Damn I wish my memory was better cos there were more than that! And well done for no Citizen Kane and no Shawshank Redemption. The latter is a good enough all round film, but so over rated. The former was lost on me I’m afraid. Perhaps you needed to see it in its original zeitgeist to really get it, or perhaps I’m just a big movie thicko but I was very disappointed by it after years of hype. Cheers for the comment! When titles like Resident Evil and The Warriors appear on a list, you know its not for the best of all time, but rather these are just the ones that helped shape my fondness and taste for cinema and they’ve stuck with me. Glad you’re a fan of Badlands and Night of the Hunter too!